Mood Lighting/LED Uplighting, Giant Illuminated LOVE/Mr&Mrs Letters, Chair Covers, LED Starlit Backdrops/Curtains and Projector Hire. Bishop Auckland Golf Club Wedding Reception Disco: Flashdance Disco was hired by Angela & Darren to provide our professional Mobile DJ service at Bishop Auckland Golf Club in County Durham. Bishop Auckland Golf Club is just on our doorstep and we were booked by Angela & Darren (pictured) to provide our professional Mobile Disco service at their wedding reception. Flashdance Disco is a regular wedding service and party provider to Bishop Auckland Golf Club in County Durham and we were pleased to be chosen by this couple to play a part in their big day. The newlyweds selected the latest release from Kodaline as their first dance and they took to the floor as husband and wife to ‘The One’. As far as other music selections were concerned, our brief was to play a wide selection of music to cater for all the different age groups attending the party in the clubhouse at Bishop Auckland Golf Club in the North East of England. Flashdance Disco has provided our services at Bishop Auckland Golf Club many times over the years for private parties and celebrations (weddings, anniversaries, engagements, etc.,) and we’ve also been hired by the venue for some of their events for the members of the North East Golf Club. Bishop Auckland Golf Club Wedding Reception Disco: Melanie & Michael cutting the cake with our Video Projection Service from Flashdance Disco. 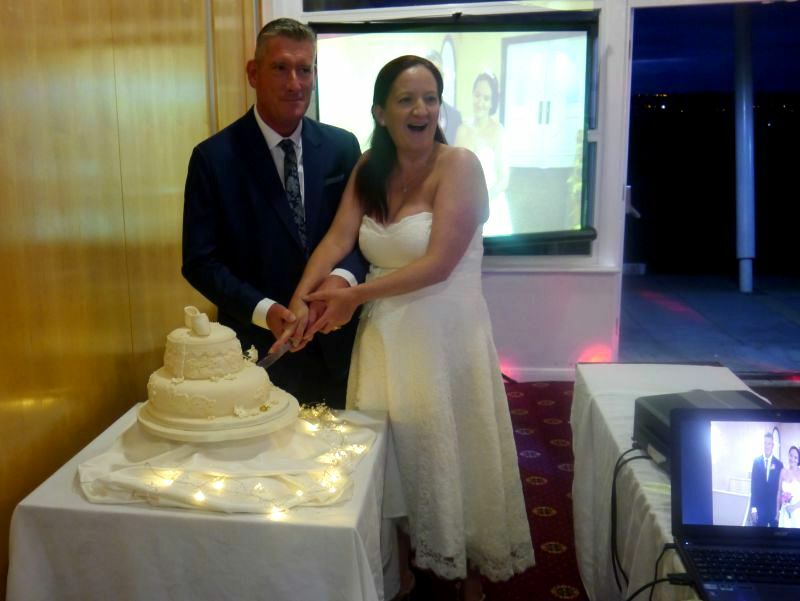 Bishop Auckland Golf Club was chosen by Melanie & Michael to host their wedding reception party and Flashdance Disco was on hand to provide our professional mobile DJ service to the happy couple. To mark their marriage, Melanie & Michael held a party for their friends and family at Bishop Auckland Golf Club in County Durham and to give the guests a feel for the wedding that took place in in America, they also hired our Video Projection Service to put on-screen pictures of their big day. The Video Projection Service was a nice touch as it allowed those who did not see or hear about the ceremony in Las Vegas to get a feel for the memorable event. 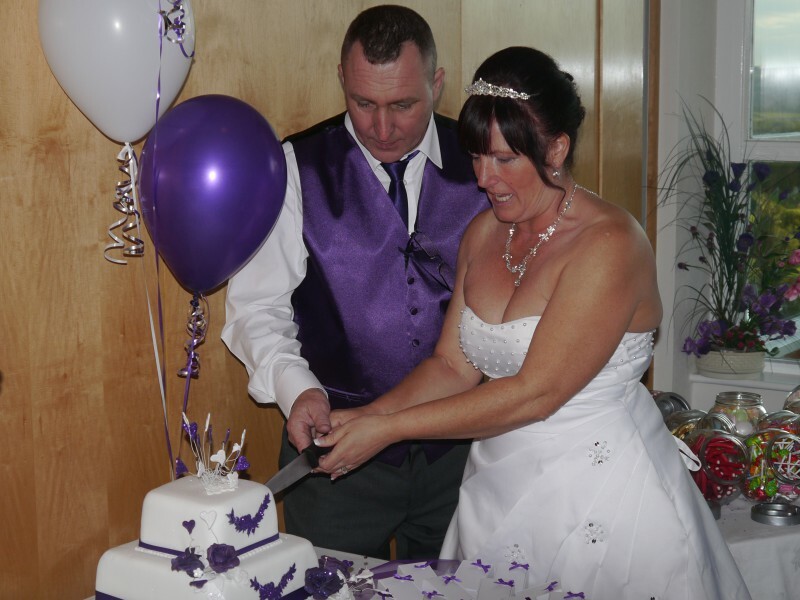 Back in the UK and at Bishop Auckland Golf Club, the only formality left for the couple was to take part in their first dance as husband and wife. They selected Al Green’s ‘Let’s Stay Together’ as their special song. Wedding Reception Venue: Bishop Auckland Golf Club, Bishop Auckland in County Durham. Bishop Auckland Town Hall Wedding DJ for Gayle & Craig provided by Flashdance Disco. 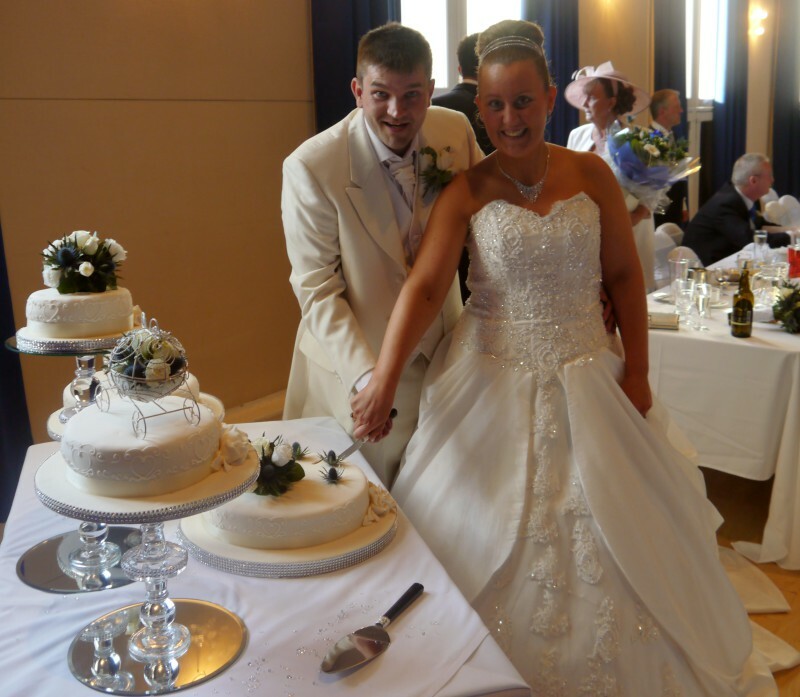 We’ve lost count of the number of weddings and other parties that we’ve successfully completed at Bishop Auckland Town Hall in the North East of England over the years. 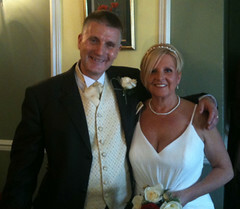 On this occasion, we were booked by Gayle & Craig (pictured right) to provide the music for their wedding reception. The newlyweds selected two songs that were special to them to kick the party off. They had John Legend’s “All of Me” as their first dance and then Gayle took to the dance floor with her father for them to have a special moment together with Heartland’s “I Loved Her First” to dance to (video below). Flashdance Disco was asked to make sure that there was a wide range of music to cater for the different ages of the guests and the different tastes in music that we all have. We always enjoy providing our Mobile DJ service at Bishop Auckland Town Hall and with the revamp and new tourist attractions that are set to come to the town, we think that the venue will prove to be incredibly popular for hosting parties, corporate events and wedding receptions. The Eden Room and the Laurel Bar are an excellent choice for holding a party. 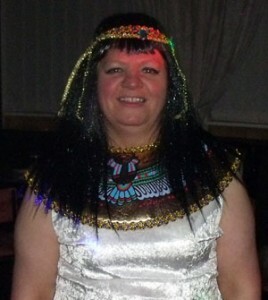 I would just like to thank Flashdance Disco for making my 50th birthday party so special at Leeholme Working Mens Club. It was a brilliant night! He played exactly the type of music we all liked, the dance floor seemed full of people most of the night, everyone commented on the disco saying how good it was. I would definitely book him again and will reccomend him to others. Bishop Auckland Town Hall Wedding DJ Provided By Flashdance Disco For Emma & Peter Smith’s Party. On behalf of my husband and I we would like to thank Michael at Flashdance Disco for making our wedding the most amazing day of our life. Having booked Flashdance for our engagement party we were so impressed by the professionalism of his services we didn’t hesitate to book him for our wedding also. Nothing was a problem and all song requests were honoured and this in turn ensured the dance floor was packed all night long. May I also comment on how amazing the mood lighting was it really set the reception room off and at night it was breath taking I can honestly say it exceeded all my expectations. I was thrilled by the way it transformed the room. I would definitely recommend Flashdance Disco to anyone holding any functions in which you require a very reasonably priced, friendly, and professional DJ. I for one wouldn’t hesitate in hiring them again.